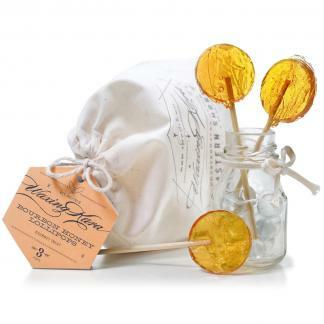 Original Honey Lollipops take you back to a time when candy was made by hand. 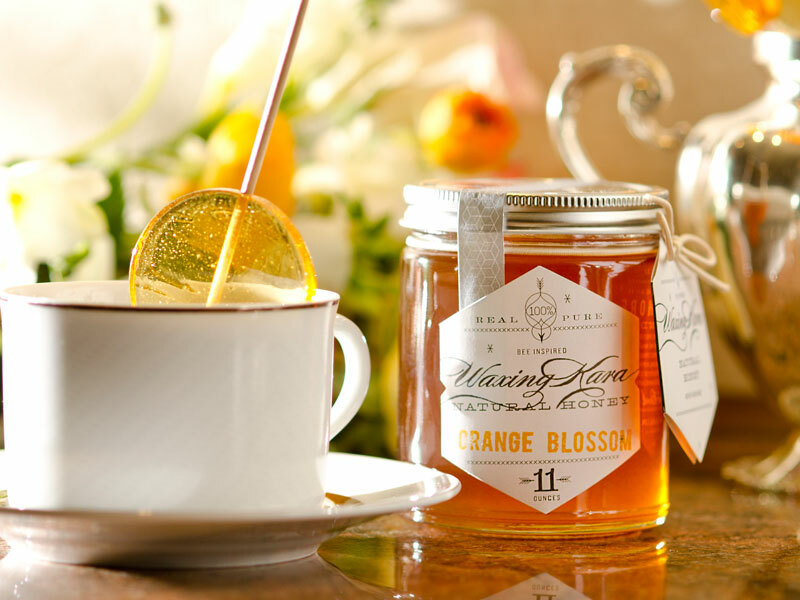 Made with real honey from our farm. Mom approved for a scratchy throat. Portable and mess-free sweetener for tea for friends on the road. Use them on gift-wrapping, as party favors and with invitations. 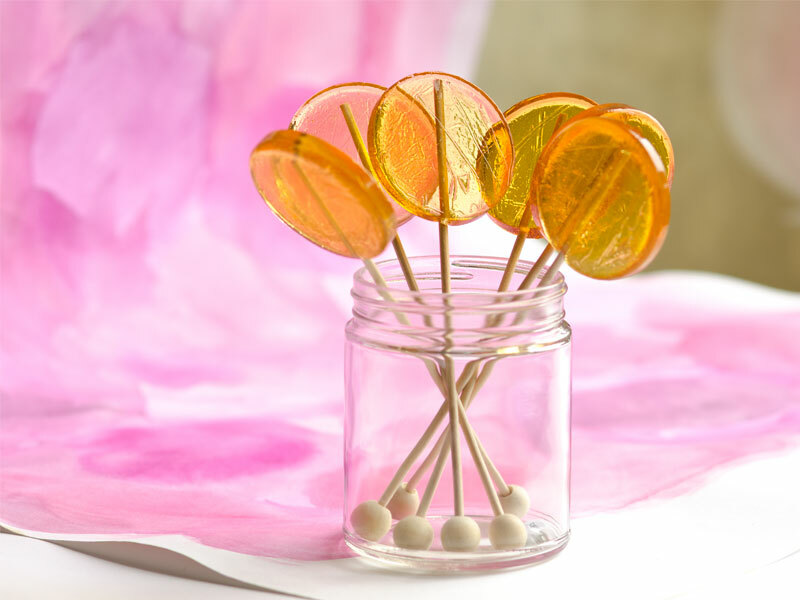 Our original honey lollipops are handmade and have been featured in Cooking Light, Lonny, Food & Wine and Southern Living Magazines. Each lollipop weighs about one ounce (some are bigger than others) and measures just shy of two inches. Buy them by the bag or the box, keep some for yourself and give the others away! Great teacher gifts. Great co-worker gifts or employee incentives! Many of our customers buy these by the box to use for holiday gifts. At the Jewish New Year, our customers use these lollipops to wish friends and family a “Sweet New Year”. We have seen them featured as companion to baby announcements, gift wrapping, store opening announcements and much more. See our gallery for ideas. At the very least, these lollipops will make your day or the day of the person that you share them with. Ingredients: Pure Cane Sugar, Corn Syrup, Canola Oil, Waxing Kara Honey, Natural Flavoring, Natural Coloring, Soy Lecithin. When I was a kid we used to spend a big part of our summer in New England, that’s where I was first introduced to barley pops. Just as I launched Waxing Kara® on a day trip to Brooklyn, I found a beautiful barley honey lollipop at a local gourmet market. Aaah – the flood of memories! 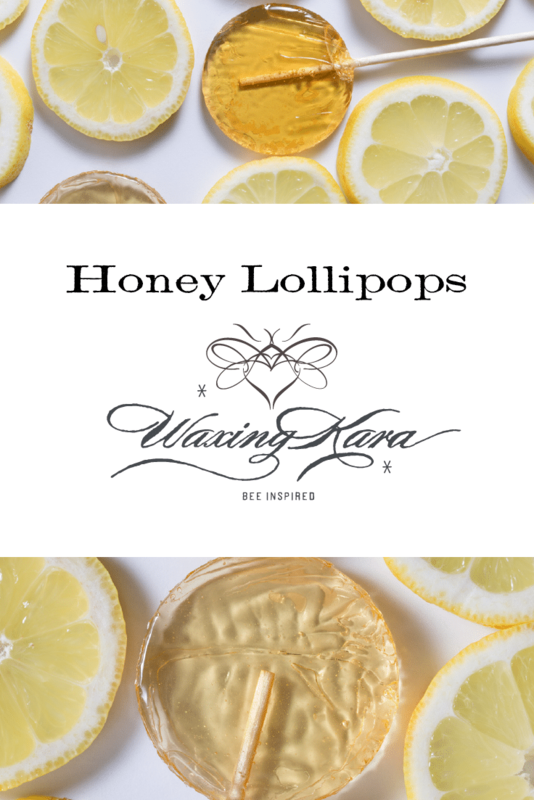 Today our honey lollipops are handmade by candy artisans with Waxing Kara® wildflower honey. 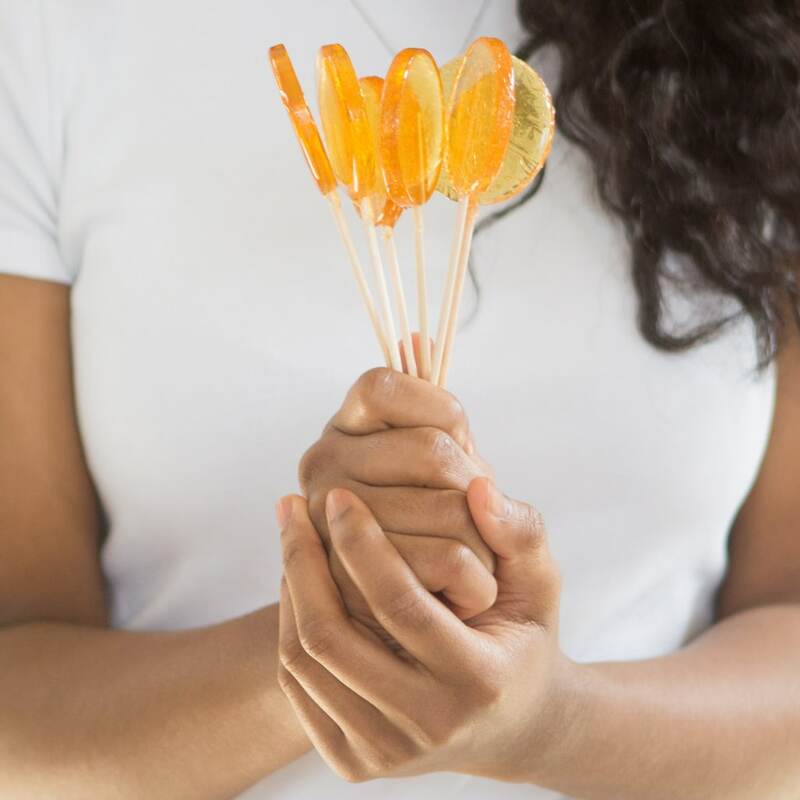 Our flavorful honey lollipops feature real honey (not honey flavoring) and are a special sophisticated gourmet treat. Wonderful treats; great gifts. Brought some to work and keep a few in my purse to give people who have the never-ending, irritating cough that’s going around this winter. Thanks, Kara! Love! Love! Love! These pops! They are a great sweet treat- awesome as a stir stick in hot cup of tea- And they make wonderful gifts! Glad you love them! Enjoy! These are the only thing that my daughter will take to soothe a sore throat. Love them! I’m waiting for the store to open so we can restock! The only thing the little princess likes to eat when she’s not feeling well. Great flavor! Hi Jennifer! If the lights are on just knock on the door! ;0) Glad we can help the princess feel better. Sooo happy I got these,,,sent them to my son and daughter-in-law for flu season. Who knew? He ended up having surgery and says they are THE BEST for his post-surgery sore throat. I buy these a lot! They are so wonderful. This time I dressed them up with a sunflower and a cute for gifts! I wish I could add a picture for you! These taste amazing, but I’m disappointed they’re made with corn syrup. I’d expect a company like this to only use natural, raw ingredients. All the flavors I’ve tried are really good though. Hey Melissa, Sorry to disappoint. First I will say, we can totally make you a very healthy version of our pop when ordered in quantities of 250 or more. That is where we started. The issue: shelf life. You can only hope for 2-3 week shelf-life on a pop made with agave nectar or rice syrup. That said, when you make hard candy you need a variety of sugars to reach “crack” where the candy hardens— and old fashioned corn syrup just works the best. It’s NOT high-fructose corn syrup if that’s any consolation. Thank you for writing!